Would others call your personality fierce? Kimberly Wagner passionately loved Christ and lived life boldly. And when she met and married LeRoy that didn't change. What did change was LeRoy's feelings for her after years of her belittling remarks and angry outbursts. Their marriage seemed hopeless, and divorce wasn't an option. Would this stalemate ever end? Bob: The Bible says that life and death are found in the power of the tongue. Kim Wagner knows firsthand how her tongue was able to bring death to her marriage. Kim: You know, it’s amazing the depths that we, as women or individuals, can go to—to punish another person. And with me, my self-centered, fierceness showed up like the third night of our honeymoon. My route was to speak to him in a way that was so demeaning and to make him feel worthless [Emotion in voice]. Bob: This is FamilyLife Today for Monday, July 15th. Our host is the President of FamilyLife®, Dennis Rainey, and I’m Bob Lepine. 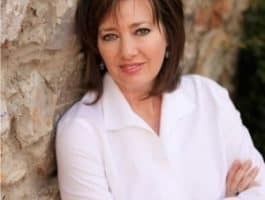 Kim Wagner joins us today to share with us how God got her attention—how she began to realize the destruction she was bringing into her own marriage. Stay tuned. And welcome to FamilyLife Today. Thanks for joining us. I’m just curious—you’ve called your wife, Barbara, a number—you’ve used a lot of adjectives to describe her; right? Dennis: I have. That’s correct. Bob: Fierce—you ever called her a fierce woman? Bob: And why is that? Dennis: Never really thought about it! [Laughter] I might now. Bob: Do you think she’s a fierce woman? Bob: You would say fierce is a good thing? Dennis: Oh, yes; and it can be a bad thing—depends on who’s on the throne. [Laughter] You know, the little picture with the circle in it—the ego, our self, on the thrown or Christ on the throne of the heart. Dennis: I’m saying that all is well with the fierce woman who has Jesus in control of her heart. And our guest on FamilyLife Today is nodding her head. Kim Wagner joins us on FamilyLife Today. Kim, welcome to the broadcast. Kim: Thank you, Dennis. Glad to be here. Dennis: And you might imagine, she has written a book called The Power of a Soft Warrior. It is titled Fierce Women. You believe women can be fierce and be good; right? Kim: I do. I actually think God created women to be strong—with a fierceness to fulfill our role and calling by Him and to glorify Him—but that fierceness can go bad pretty quickly. Dennis: You married your husband, LeRoy, back in 1981. You have two adult children. You guys are about to be the proud grandparents of three grandchildren; right? Dennis: And this whole subject of fierceness came about out of your own relationship with him; right? Dennis: That’s a good answer. That’s a good answer. Dennis: Take us back to when you met him. Bob: So, you’re talking about a determination—steadfastness—really, a fuel to be intentional and to be purposeful for what Christ has called you to. Bob: But that fierceness—as you and LeRoy met and as you were first married—began to seep through the cracks in some ungodly ways. Kim: Yes, it morphed into a real ugliness. Bob: Take us into that. How did you and LeRoy meet? Kim: Well, we were both college students. He noticed me in Greek class because there were only two girls there and like thirty-two preacher boys. Bob: This was a Christian college? Kim: Yes. And I wasn’t there at all looking for a preacher-boy husband. That is for sure. Dennis: Preacher-boy husband? Were you a flirt? Dennis: So, you were fierce but not a flirt. Bob: “What is he going to ask?” Yes. Kim: “What is he…”—yes. And I’m pretty upfront and transparent. So, I just said, “No, I don’t guess so.” He said, “Why are you in Greek class?” It just went all over me. I just felt like: “What a chauvinistic question? Why can’t I be in Greek class?” You know? So, I just looked at him—and even though I come from a church background, which is complimentary, I’ll say—we don’t have women pastors in my church background—but I looked at him; and I said, “Because I want to study and learn the original language for myself so that I can better prepare myself to pastor my flock.” [Ooh!] I turned around, and I went through the lunch line like that. You should have seen his face. His mouth just dropped open. Dennis: How long before he asked you out? Dennis: As in between the green beans and dessert? Kim: No, no, no, no. It was within probably a couple of weeks. Yes. Bob: So, he found himself attracted to the young woman who really wanted to dig deep into God’s Word. Bob: That was one of the things that was attractive about you, to LeRoy. Bob: What was it about him—because, originally, he said: “Can I ask you a personal question? Why are you in Greek?” You weren’t attracted to him at all. Bob: When did that start to change? Kim: When I sat under my first message—hearing him preach. That was really on our first actual—what I would call date. Kim: —with a couple of friends. He had just offered, “Would you like to come tomorrow with me to church, where I pastor?” You know, it was a small church. He was a student pastor. When I was a teenager, I lived on the west coast for a while and had a godly pastor. It had been years since I’d really heard someone preaching from the Word of God with a true theological grounding and understanding but also with pathos. Bob: He’s wondering what kind of conviction has come upon you, as he’s preaching. Bob: —and preached with passion. Dennis: Or did he take you on a crusade—a series of messages that he did—and then ask you to marry him? Bob: It wasn’t long—like how long? Kim: You all don’t—I don’t want to say this! I don’t want children to—are you editing all of this? Bob: —you wept in church until he asked you to marry him? Kim: Thirteen days. I know. I hope no children are listening to this and will follow in our footsteps. Dennis: This was a personal crusade. Kim: I know that is crazy now that I look—but I didn’t say, “Yes,” right away. Bob: How long did it take you to say, “Yes”? Kim: —to pray. He had to meet my parents. Bob: Like a month maybe? Dennis: Then, how long before you were married? Bob: I’m sorry. We are. Dennis: So, how long before you got married, then? Kim: A year. My dad did require we wait a year. Bob: Thirteen days to the proposal, a month before you said, “Yes,” and then, a little time to get to know one another. Bob: And that was your dad’s wisdom—to say, “You ought to just take it slow, kids;” right? Kim: Yes, but my dad loved LeRoy—that helped. Dennis: So, you were married a year later. I’m wondering how long, into your marriage, before LeRoy found out he was married to a spitfire. Bob: You didn’t pick that word. You used the word, “spitfire”, in your book, to describe you; don’t you? Dennis: Yes. Yes, she does. And my mom was a spitfire. Dennis: So, I know what a fierce woman looks like—in terms of who I’m married to. I, also, was raised by a spitfire. How long did it take LeRoy to figure out he was married to one? Kim: Well, on our honeymoon—but he knew before then—but on our honeymoon. And by spitfire—you know, like we said—“That can be a good thing or a bad thing.” With me, my self-centered fierceness showed up like the third night of our honeymoon. When—after he’s—we went to Colorado on our honeymoon—long drive. After he’s driven many miles, and I’ve napped in the car, and it’s time to bed down for the night, he falls asleep on me, before the prayer is even over. I’m like: “What is up with this?! This is our honeymoon! This is cuddle time. This is quality time together.” And it just hurt my feelings so much. So, I reacted fiercely. Bob: How did you react? What happened? Bob: Well, he’s asleep. Did he even know you were crying? Kim: Well, you have to cry loud enough that it wakes them up, you know? [Laughter] Then, when I tell him what’s wrong, it’s just like he’s snoring and goes back to bed. So, then, the next day, he knew I was not a happy camper on our honeymoon. Bob: And did you make it clear to him that you were not a happy camper? Kim: I could be so cruel. It is—I hate to look back on it. I really do because—it’s amazing the depths that we, as women or individuals, can go to—to punish another person just to—whether it’s the silent treatment—but that wasn’t usually my route. My route was to speak to him in a way that was so demeaning and to make him feel—to make him feel worthless [Emotion in voice]. Bob: So, I know you probably don’t remember exactly what you would have said the next morning after he’d fallen asleep; but you could probably imagine the kinds of things you said over the years. What might you have said? What’s the kind of thing you would have said to LeRoy, after a night when you had been disappointed because he fell asleep? Kim: You know, Bob, the kind of things I would say might not affect another man in the same way; but I think it’s not necessarily the words we say, but it can be the tone—the emphasis—communicating to them that: “You’re not measuring up in some way. You’re not measuring up to my expectations. You’re not fulfilling the role that I think you should fulfill in my life. You are not being, to me, what I want you to be,” or even, really, what that man wants to be for the woman. That is emasculating to a man. That is so destructive to a man. Dennis: I think it’s the way most of us start our marriage relationship. I mean, we don’t start as two perfect people who have come to grips with how selfish we are. In fact, that’s one of the big lessons, early-on. I remember early, in our marriage, going, “I didn’t realize how much I thought about myself and not about somebody else.” What I want to know is—how did LeRoy respond when you spoke in a demeaning tone and chipped away at who he was as a man. Did he get angry? Did he withdraw? Did he lash back? Kim: He did what I think a lot of men do. He tried, at first, to counter my outbursts or my negativity; but eventually, he just shut down, and pulled away, and went into his silent cave. I tell people it was like we were living as roommates, together, for several years. There was this darkness that we both lived in. We were functioning. We would minister to other people. We both loved the Lord, loved His Word; but when we came together, there were no words. Bob: Because you were in isolation in your marriage because of the harshness? Kim: Because our marriage was not functioning in a way that we knew pleased God. How could we, with integrity, counsel other couples? How could he preach, even? He struggled with preaching the power of the Gospel when he wasn’t seeing it lived out in his home. Dennis: Ultimately, he came to you, five years into your marriage, and made a pronouncement. Kim: Yes. He let me know that, “I don’t think I love you anymore.” I had, for so long, said, “Well, if you loved me—da, da, da—fill in the blank….” It suddenly dawned on him: “You know what? I don’t think I love you anymore.” I don’t blame him, as far as that emotional love—and of course, that was a young man, speaking out of emotion—but I wasn’t loveable. You know, I had my hurts and resentment. I would lash out at him. He had this simmering, deep-seated anger, I guess, and resentment—but even more than that—eventually, in our marriage, he admitted to being fearful of me—which I would have never dreamed. Dennis: Did you think about divorce, at that point? Kim: No! Divorce was never an option. I mean, we were committed to Christ. We even married on the basis of—I had always said, “I would never marry someone until I believed God could be brought greater glory through our marriage—through being married than being single.” So, that was never an option. We were living to display the truth of the Word of God to people, but we weren’t doing it in our marriage. Bob: So, you’re not going to get a divorce, at this point; but you don’t have any—you don’t have any hope for how you’re going to get any better; do you? Kim: No! We were so hopeless. That’s what I hope women, listening today—who are in a very dark place—I kept thinking: “There’s got to be an answer. There’s got to be a key to this. If God put us together—and I did believe God put us together—why is it so dark? Why can’t I reach his heart?” I hope women, listening, will have hope in knowing that God sees, He cares, and He desires to step into your marriage and work. I am so grateful that He did step into our lives to work. I kept crying out in prayer for God to work and change him. [Laughter] He was praying the same thing, without me knowing it—for God to change me. Dennis: It seems, to me, that LeRoy fired a warning shot. He was trying to get your attention. He was trying to send you a signal that something profoundly dear to him was dying or was dead, at that point. Did you get the message? Kim: Not at that point; I didn’t. I did not recognize, at all, my role in being the problem in the relationship. Now, it’s never just one person who is the problem; but God needed to bring me to the point where my eyes were open to, “It is not all LeRoy,” and to take responsibility for my role in it. Dennis: I don’t know where this came from in our marriage; but one of the characteristics, early-on in our marriage, was cultivating and protecting a teachable spirit and taking responsibility for our own stuff. Dennis: It’s so easy to blame the other person. Dennis: I don’t know where it came from; but I am convinced that some of the toughness of those early years in our marriage—which were, at times, tough—were blunted because both Barbara and I, occasionally, would look at the log in our own eyes, rather than thinking that the log was in our spouse’s eye. 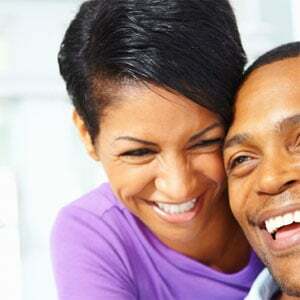 Dennis: I think teachability is something you have to protect and keep alive in your marriage relationship. As a couple—speaking of the word, fierce—fiercely keep your covenant and fiercely own your own stuff and your own responsibility because, at the end of the day, that’s all you’re responsible for anyway. Bob: Whenever I get a chance to speak at one of our Weekend to Remember® marriage getaways, I start, on Friday night, by saying: “If you brought your spouse here, hoping we can fix your spouse, you’re going to be disappointed because the truth is— we’re not even going to talk to your spouse this weekend. We came to talk to you.” Obviously, I’m saying it to both of them. I think that’s true for husbands and wives; but Kim, I think you’ve done a great job of helping wives, in particular, see where they may be fierce in an ungodly way and to help them learn how they can be fierce women in a way that brings honor and glory to God. We’ve got copies of Kim’s book, Fierce Women, in our FamilyLife Today Resource Center. You can go, online, for more information about how to get a copy of the book. The website is FamilyLifeToday.com—once again, FamilyLifeToday.com—or call 1-800-FL-TODAY. Say, “I’m interested in the book, Fierce Women, by Kim Wagner”—1-800-358-6329. That’s 1-800- “F” as in family, “L” as in life, and then, the word, “TODAY”. Get in touch with us, and we’ll see what we can do about getting a copy of Kim’s book to you. You know, as I was hearing Kim share her story today, I was thinking about some of the conversations that took place between Kim and Krickitt Carpenter, a couple that we interviewed, a while back, who—they actually had a Hollywood movie made of their story—a movie called The Vow. When Krickitt Carpenter came out from a coma, she had no memory of her husband. In fact, was caustic toward him and not sure she liked him. Her personality had changed because of the head trauma that she had experienced. Yet, even in the midst of that, God did an amazing reconciling, redeeming work. They continue today, happily married, as husband and wife. And we hope you can join us back again tomorrow. Kim Wagner is going to be here again. We’re going to talk about what a wife should do—how she should speak and act toward her husband when he’s not a godly, responsible man. We’ll talk about that tomorrow. Hope you can join us for that.